On the 12th December 1901, Italian physicist Guglielmo Marconi sent the first radio transmission 2000 miles across the Atlantic Ocean. Until then, it had been believed impossible to transmit anything further than 200 miles, under the assumption that it would be blocked by the curvature of the earth. 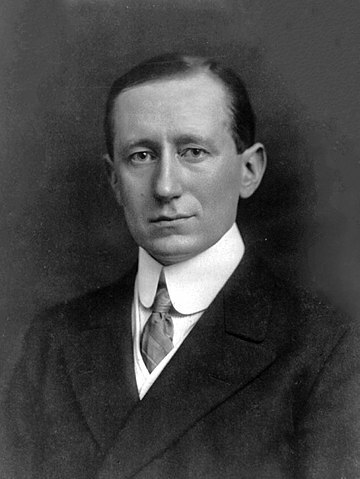 Guglielmo Marconi was born in Bologna, Italy, on 25th April, 1874. He studied physics and became interested in the transmission of radio waves after learning of the experiments of the German physicist Heinrich Hertz. Determined to expand on Hertz’s work on radio waves, Marconi began his own experiments in Bologna in 1894 and soon succeeded in sending a radio signal over a distance of 1.5 miles. His work was not encouraged in Italy, however, and so he moved to England in 1896, where he formed his own wireless telegraph company. Here he began to progress, and he was soon sending transmissions from distances farther than 10 miles. In 1899 he succeeded in sending a transmission across the English Channel. Keen to push his experiments further, in 1900 Marconi enlisted the help of Professor John Ambrose Fleming; who became a scientific advisor to the Marconi Company. Working with Fleming, they attracted the best engineers in the field to further the project, including radio scientists Reginald Fessenden and Lee de Forest. 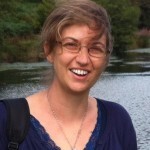 Together they developed a spark technology method of radio transmission. Soon, Marconi’s greatest achievement came: on December 12th, 1901, when he received a message his company had successfully sent from Cornwall in England to St. John’s, Newfoundland. In 1909, in recognition of this amazing achievement, Marconi was jointly awarded the Nobel Prize in physics with the German radio innovator Ferdinand Braun. Marconi continued to work on short range radio transmission until his death on 20th July 1937. He was just 63 years old. On the day of his funeral every one of the British Broadcasting Corporation (BBC) stations observed a two minute silence in tribute to his contributions to the development of radio.